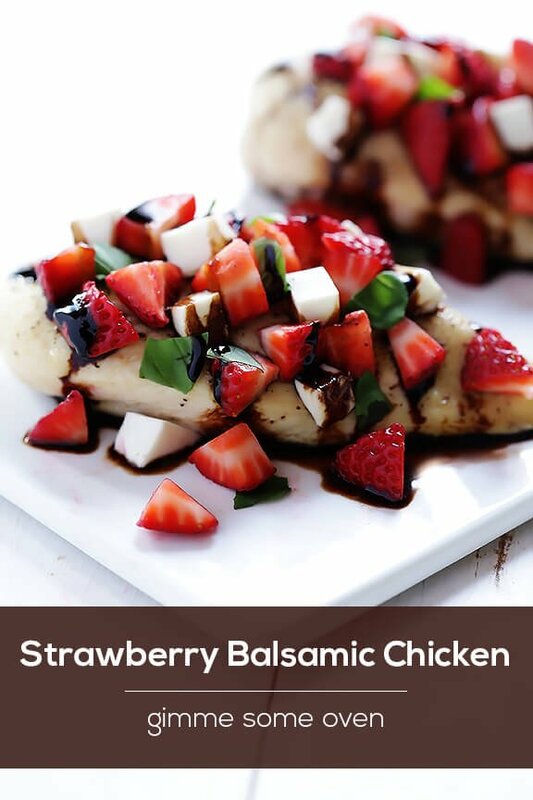 This strawberry balsamic chicken is a delicious and easy fruity version of caprese that I adore! 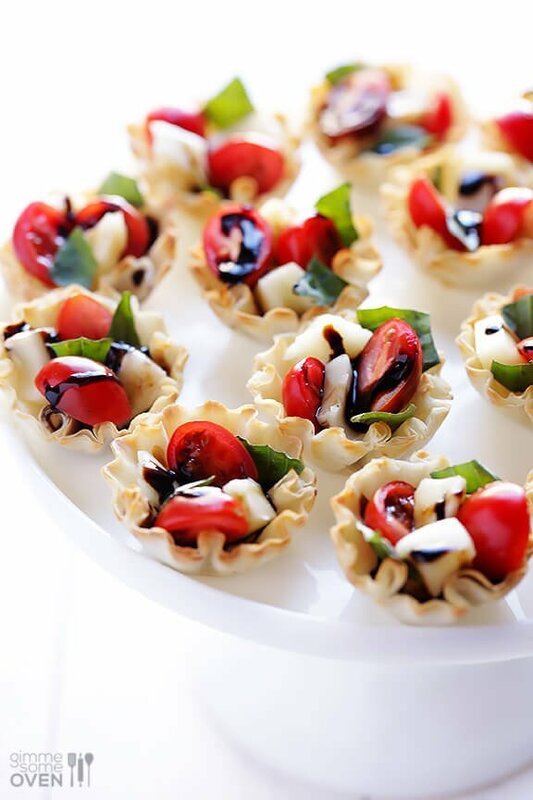 Ok, I feel like last summer I bombarded the blog with caprese recipes. 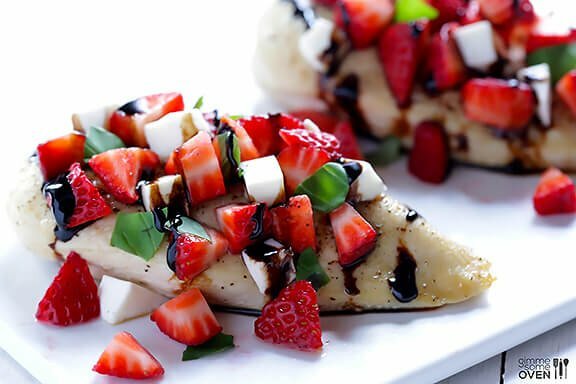 So to switch things up this summer, I thought it would be fun to do a different take on my favorite combo and make some strawberry caprese!! I was so excited about the idea, but my friends gave me the raised eyebrow when I told them the recipe name. So I caved and named this one Strawberry Balsamic Chicken. 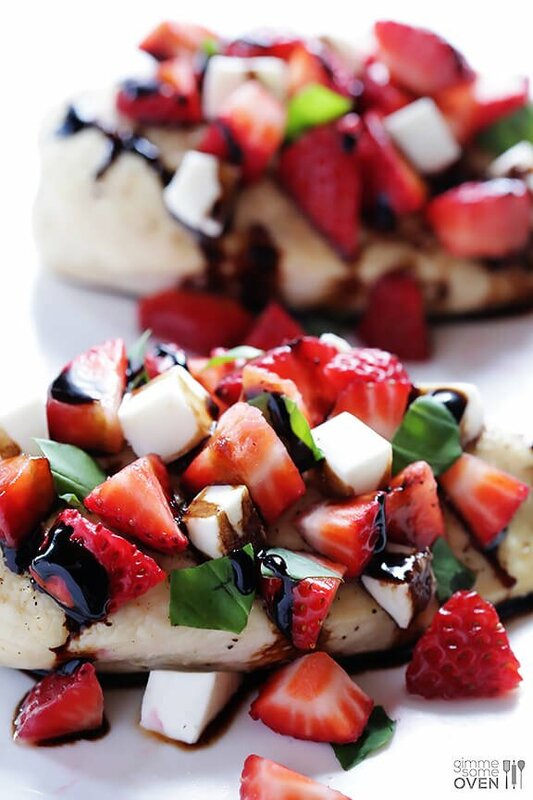 Either way, this strawberry-balsamic-chicken-caprese recipe is crazy good, and uber easy to make. Just bake, saute, or grill up some balsamic-marinated chicken breasts. 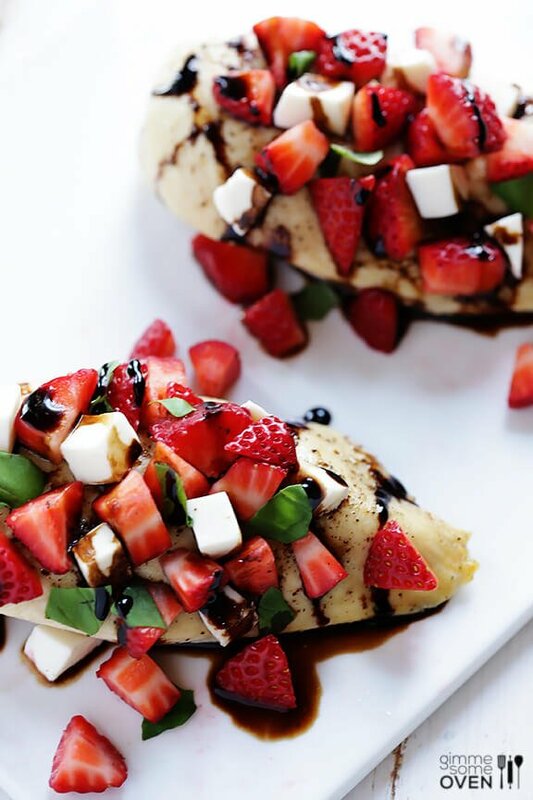 Top them with a strawberry caprese salsa, made from the fresh trio — strawberries, mozzarella and basil. And finally, drizzle on some reduced balsamic for an extra kick, and BAM — this tasty meal is ready to go with just minutes or prep time. 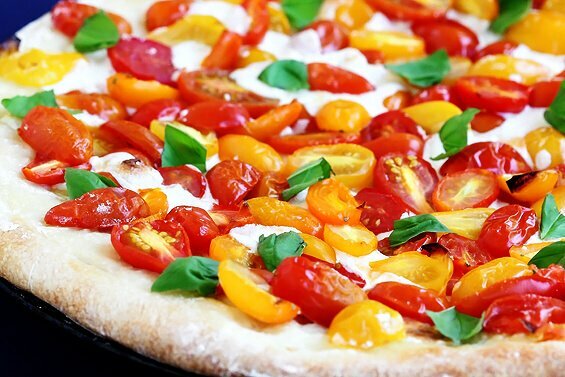 My kind of colorful, fresh and yummy summer meal. 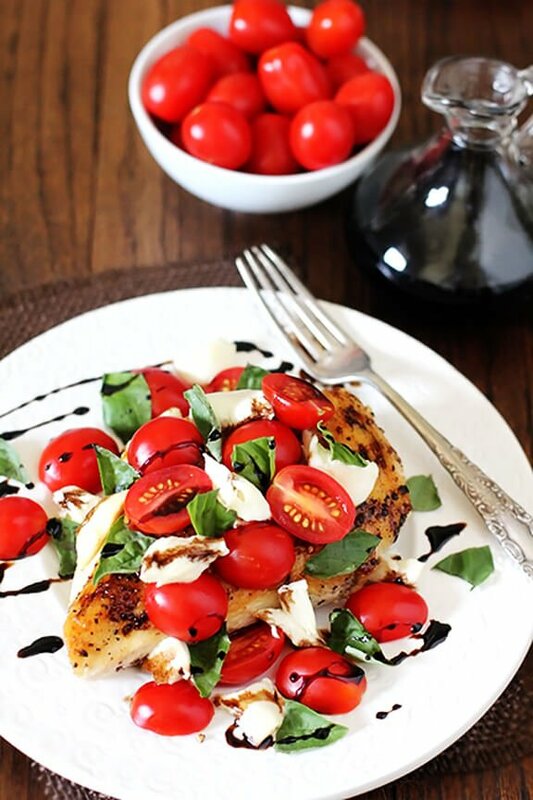 Baked chicken is topped with a fresh and healthy strawberry caprese topping! Combine chicken breasts and 1/2 cup balsamic in a ziplock bag. Refrigerate for at least 5 minutes, or up to 5 hours. When ready to cook, place chicken in a baking dish and pour the remaining vinegar on top. Season chicken generously with salt and pepper. Bake for 30 minutes, or until chicken is cooked through and no longer pink inside. Meanwhile, bring the remaining 1/2 cup vinegar to a boil in a small saucepan over medium-high heat. Reduce heat to medium-low and simmer for about 10 minutes, or until reduced by half. Remove and set aside. 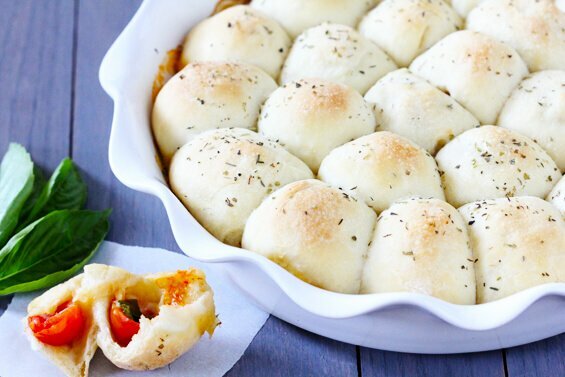 For you caprese lovers out there, feel free to check out these other yummy caprese recipes too!